Towards a new maritime industrial strategy for the European Union? Home/Maritime/Towards a new maritime industrial strategy for the European Union? In an opinion adopted on 10 April 2018 and presented by Marian Krzaklewski Marian, the Economic and Social Committee of the European Union (EESC) called for the adoption of a new European maritime industrial strategy. Following a consultation process, in which the CPMR was involved, the EESC noted the inadequacy of the implementation of the LeaderShip 2020 strategy, adopted in 2013 for maritime industries. Developed at the initiative of the European Commission’s DG Grow, this strategy led to the development of a cross-cutting vision for maritime industries, particularly shipbuilding and marine energies. Its implementation has not been sufficiently supported. According to the EESC, only 25% of LeaderShip 2020 measures have been implemented. One explanation for this situation is the lack of support from the European institutions. These have never translated the LeaderShip 2020 recommendations into a formal communication and action plan, unlike other industry sectors such as defense or the space industry. The European maritime industries sector offers considerable potential for growth and employment opportunities. The approximately 300 shipyards that exist today in Europe have an annual turnover of around EUR 31 billion and directly employ more than 200,000 people. Several of them have recently won major international orders, which testify to the quality of European know-how. At the same time, offshore wind energy production and the use of marine and ocean energy have important prospects. In these areas, Europe is in a global leadership position throughout the value chain. 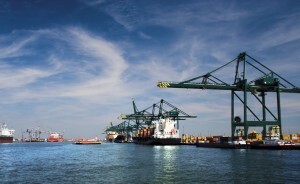 In the coming years, the maritime industries will have to face major challenges. These include economic challenges in the face of growing international competition, especially in China, including in Europe’s specialty segments such as cruise ships. The challenges are also environmental, through a stronger contribution expected from industries to fight against global warming. Finally, they are social, given the breakthrough innovations that will emerge from digitization, automation, cybersecurity or the Internet of Things, and which will transform trades and skills. At the same time, these challenges openup interesting prospects for the European maritime technology sector. A European political strategy is needed to give a vision of these issues, and a common direction to the many European policies that contribute to the support to maritime industries, such as Cohesion policy, R & D, commercial, environmental and investment policy. In the continuity of its political position on these issues, and exchanges of recent months with the EESC and Sea-Europe, the CPMR will mobilise to participate in any initiative to develop a renewed maritime industrial strategy.